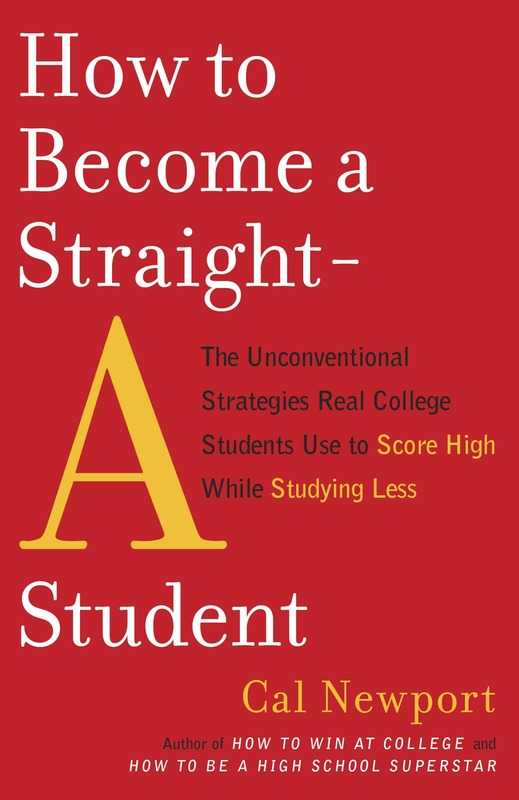 In 2008, I introduced the Zen Valedictorian philosophy, which argued that it’s possible to lead a student life that’s successful and impressive at the same time that it’s low-stress and enjoyable. All my student advice comes back to achieving this goal. It came to my attention recently that I don’t have a similar clarifying vision for my career advice. If the Zen Valedictorian is the epitome of what I think student life should be, what’s my equivalent abstraction for maximizing life after graduation? The need for this answer led me to develop the newest entrant to the Study Hacks canon: the Career Craftsman. I introduce this philosophy below in a pithy manifesto format. These ideas are a work in progress, and the propositions that follow mark the start of my exploration of this new direction in my thinking. Are Passions Serendipitously Discovered or Painstakingly Crafted? I could not be more interested in your thoughts on successful, impressive, and self-directed careers, Cal – thank you so much for listening to our requests!! Hi Cal, I like the manifesto. 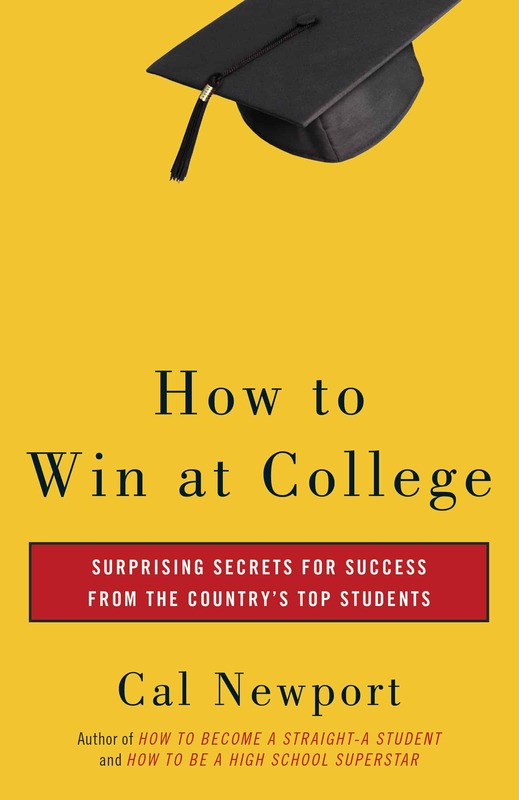 I’ve read “How to be a Highschool Superstar” and get that there is a “systematic” way to craft a career. But I think that’s missing the point. We have to realize we are products of our culture. In the United States, we champion specialization. Academics, doctors, and other professionals spend lifetimes learning more about less and less. In Iceland, people learn more and more about more and more. It’s less about crafting a career per se. I don’t know if you’ve read Derek Siver’s post on trying to pursue many different directions at once? But basically he says if you pursue one direction for 10 years, then another direction for 10 years, and so forth…you can get to all the things you want to accomplish because life is long. It’s more about what peeks your interest at the time rather than crafting a career. Of course, it also does depend on sticking with *one* pursuit for a number of years before moving to the next one, which agrees with your research. I’d agree there is amount of career crafting using best practices, such as the 80/20 principle, but sometimes a healthy dose of naïveness gets too little credit as well. In the end, I think it all stems from a mindset about “passion” and “happiness.” The more we aim think about it and aggressively pursue it, the more it seems to evade us. Take it from a 60 year old, life is not long. Cal, what about doctors? Here’s the thing: there is only one way to become a doctor, and that’s through medical school and residency. If you’re going to take on the debt and time commitment, you’d better be pretty darn sure that it’s your calling…otherwise you will be miserable forever. That’s just the way it works as the system is structured, and many doctors do say that medicine is their calling and they go through hell because they know it’s the right thing. Your post does seem a little reductionist in its own way. Mary : A doctor can still get an MBA and do a shitload of other things. A doctor has proven to be able to learn incredible amounts of data, has proven to be able to design and understand studies, has proven logical deductive thinking skills in his practical exams diagnosing patients and has proven the ability to think scientifically and create new data. Doctors are not limited to being doctors. They can work at pharma companies, hospital administration and with an MBA they can basically work anywhere. In fact, our Secretary of Commerce and former Secretary of Health in Germany is a doctor turned politician. Goldmann Sachs’ former European Head of Operations was a former heart Surgeon as well. As a professional, and a long time reader of your blog (and books) I have taken some ideas and inspiration for career thinking. As a ‘knowledge worker’ I have for a long time thought my life is like that of student, and hence why I have gotten value from your writing. But, I welcome your explicit dedication to the subject of a career you are outlining here. I just finished reading a book Obliquity by John Kay, which outlines how decisions about life and business are made in the ‘real’ world. This reflects your manifesto well. Career success requires a mix of three rather abstract ideas: giving the skills, a market for those skills, and a deep interest (or at least the ability for self generated enthusiasm). Where these intersect is the fulfilling career. However, as John Kay points out in his book, the path to those objectives is not obvious. Especially when we are young and starting out. I started out wanting to be a pilot, however now I am freelancing professional in the finance industry and love my work. The idea of being a pilot – frankly – fills me with the idea of pure boredom. I could never have predicted by career, and will be probably equally surprised in another 15 years. So, with regards to the second last point of asking already successful people, I think one needs a good deal of perception when doing this, as successful people are rarely able to say specifically what they did that led to their current status. They will more often talk in vague generalities. More often it’s a case of just trying it out and seeing what happens. There is a lot of iteration and testing – and luck. I’m looking forward the outcomes of your research. With the wide variety each job function holds, it’s hard to imagine being able to point to one philosophy and say “Do this and you’ll have a rare talent”. I’m looking at this in my own career in online marketing and I think I can see where developing a rare skill can come into play – developing superior knowledge of the business environment as well as domain expertise of your job function. Your point to being data-driven made me smile as I’ve been interviewing several of my graduating class members and I’ve been trying to break down how they got their first position. I’m looking forward to the next career related posts! Please be sure to cover the skill development – as in choosing what skill to develop / assessing the rarity of a particular skill. Interesting and I want to read and learn more. Most of the links past the end of the article (the “if you want to read more” section)do not work, fyi. MB is correct – the links at the bottom are broken. The “blog” directory is missing after the domain name. Should be calnewport.com/blog/…. However, it seems to me that a common theme of these real stories is the unpredictable nature of the paths followed, in the sense that — as you’ve repeatedly stressed — having skills and following up doggedly on small opportunities to use them can produce surprising new opportunities to use them in unexpected, and rewarding, contexts. 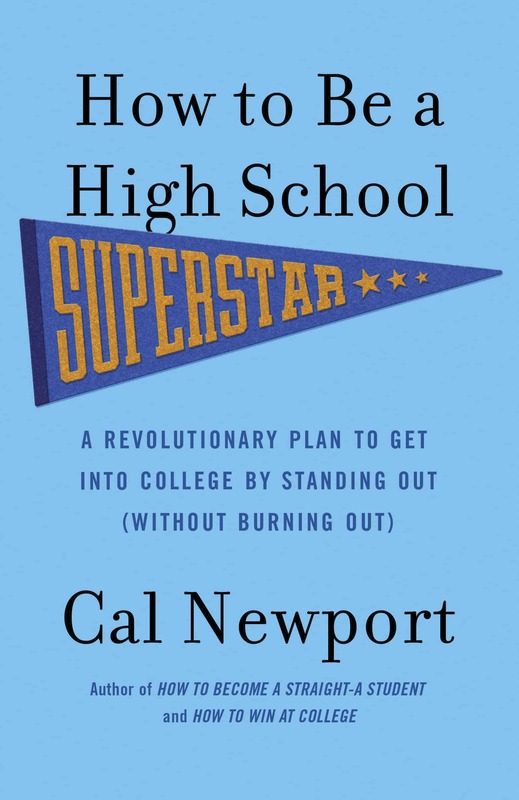 In How to Be a High School Superstar, you deal with this tension by advocating that students find a niche where they have room to distinguish themselves and doing so, and then pursue the opportunities that emerge. That makes sense. But I wonder if there is more detailed advice that you can offer in a career context to develop “surprisingly actionable” principles, given that paths to career success seem to be inherently unpredictable in their more concrete details. For example, I would like to see you delve more fully into how people manage the tensions between opportunities to deepen a main skill vs. to combine it in surprising ways with other skills (as you started to in the comments on your post about Erez Lieberman). This makes me want to shout AMEN! even though that’s not something I normally do… This is fantastic and I love it. Your blog is such an inspiration and has helped me GREATLY in rethinking my approach to research and . THANK YOU! Also at Mary: yes we go through residency etc but within medicine there is such a variety of specialties and paths we can pursue and I think that there is still room for choice of path and thus craftsman tactic. The dedicated time and debt fits really well with the idea that one’s best career results come from dedicated practice. For me, I say that I feel called to medicine for a variety of reasons but that is really just a beginning cardinal direction and I greatly resonate with the craftsman philosophy is a key to giving me the best options within medicine. It’s more about what peeks your interest at the time rather than crafting a career. These are interesting thoughts, but they don’t match my experience. Getting good enough at something that it can become the foundation for an impactful, creative, cool life, is a process that requires persistence long past the point when something originally piqued your curiosity. My worry about following every passing interest is that you never become good enough at any to get real value. What’s important about Sivers’ philosophies (which you mention, and which I know well) is that he advocates spending 10 whole years on something before moving on to something else. That’s a lot of time focusing. And I think it’s congruent with the Career Craftsman philosophy. Having worked quite a bit with pre-med and med students, as well as residents, I can assure you that very few of them would tell you they have a rock solid certainty that medicine is their calling. They are much more likely to be a Craftsman in their thinking: this is a valuable skill that can lead to a wide variety of interesting, fulfulling, flexible, recognized, stable and well compensated jobs. This sounds like an interesting book. I absolutely agree with your assessment that successful people have a hard time describing what made them successful. My advice to people — having done this style of interview for many years now — is to never ask someone how they became or successful or for their advice. Instead, get the nitty-gritty details of their story, and extract your own conclusions about where the inflection points were and what mattered. MB is correct – the links at the bottom are broken. Let me know if these are still broken. They seem to have the correct path when I load them in my browser. This is an interesting tension. I hope to probe it more in my writing. I think, at a high-level, “becoming so good they can’t ignore you,” is always the foundational action in a career context. The opportunities for surprising combinations of skills seems to come after the skills have been honed. Thank you for writing this post. It seems that your ideas always get me thinking in another interesting direction every time I get pulled by ideas of “dream job” bloggers who all seem to want to be writers or professional coaches. I think that’s exactly what I’ve been missing. After all, why should I be so inspired by someone who willingly puts 60 hrs/week in their coaching/writing business but doesn’t say anything about it other than “it’s the greatest thing since sliced bread” and NOT be inspired by people who work maybe not as hard but in jobs they actually find fulfilling? The requested URL /2009/06/22/on-the-value-of-hard-focus/ was not found on this server. But now it works so you must have fixed it. Cal, love your blog and the exploration of this idea. I was pondering my own career which has had many passions but not always about what people think is the passion. I wonder how much has to do with our perception of ourself and what we expect out of a career. I left a big corporation where I was on a fast track working on new computer languages for DARPA early in my career to start a company. At 26, I started the company to be more effective at technology transfer. I went from technologist to manager to CEO, selling one company, taking another public, building and selling a third to working with one of the largest IT companies in the world now. All the while I felt as if I was pursuing a passion for understanding and connecting dots others had missed. To me it was a giant game or hobby, and at 47 I still feel the same. I learned to love accounting, taxes, HR, motivation, building companies, understand why things worked and why they didn’t. I amuse myself sometimes by how excited I can get talking about a method of accounting and it’s subtle implications on the company’s ability to grow (I’m not the accountant BTW). Along the way I also co-wrote a text book, got a masters degree, completed the course work for another masters, all the while calling it a passion. But I think I use the term differently than you are. There was never anything external that was motivating, it was all in how I looked at the world and what I could find interesting in it. Over time I actually came to believe that I could find something interesting in any topic or discipline. Conversely, I could tell this story another way stressing the number of hours I work, the amount of frequent flier miles I have, the foils of the stock market, laying off 1000s of people in one company, dealing with creditors in difficult times, but while all that did happened, in my mind it was just a part of the journey that was important to understand. I guess the point is that I lived a remarkable life in my mind, but that life was full of unremarkable activities necessary to continue the journey of the remarkable, and I didn’t really care much what others thought or how they measured me. After a while the unremarkable and the remarkable were the same, and my yearning to contribute and understand more continued all the same. There are certainly external influences, but is there a case to be made that our perception of those external influences defines remarkable not external validation that we are rare are worthy or seen as passionate. The examples you cite sound like simplifications of people lives, the baker that didn’t know starting a bakery would mean having to manage the bakery. Is it because they followed their passion, or is it they were looking for some mythical world that fulfilled them and not fulfilling themselves. I agree no one owes you a fulfilling job, but I don’t believe you can earn it either with via hard work and focus. Those traits are helpful, but what about the many hard working, focused people, who have rare talents people want, and yet they are still unfulfilled. Are they unfulfilled because of a flawed view of what makes them happy ? 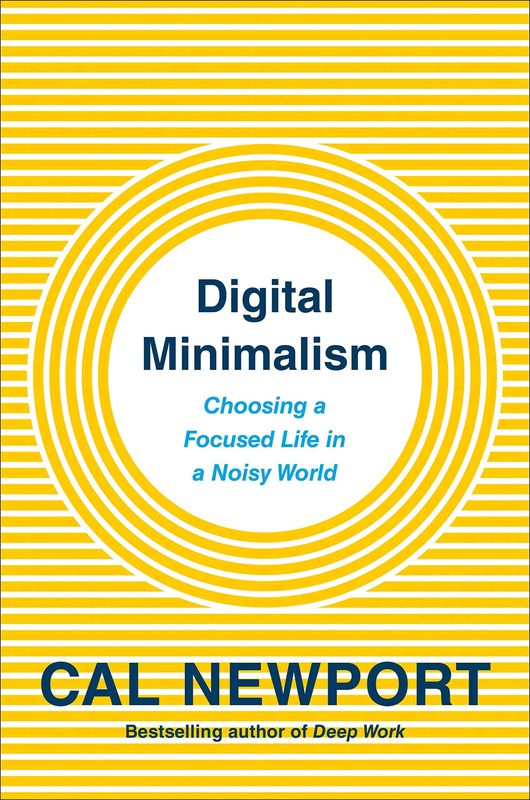 I fear that reducing things to focus, effort, or simplification can lose the many unanticipated opportunities to move from area to area mastering your tools along the way, and support developing interests that are akin to self worth instead of net worth. Just some rambling thoughts. Keep up the exploration. I love watching your thoughts evolve over time. It’s a joy to watch. If I could buy this in poster form, I absolutely would. It perfectly summarizes all of the ideas you’ve proposed and discussed over the past year or so. Love it! Here’s all I will say for now: September, 2012. I wrote a post about it a little while back. I think the title has the word “messy” in it. It came out around the time my last book did. That’s about all I can remember…but you should be able to find it. Pingback: If You’re Busy, You’re Doing Something Wrong: The Surprisingly Relaxed Lives of Elite Achievers – Lead.Learn.Live. Seriously, you just deconstructed my career to a T! How can I help you kick the can? 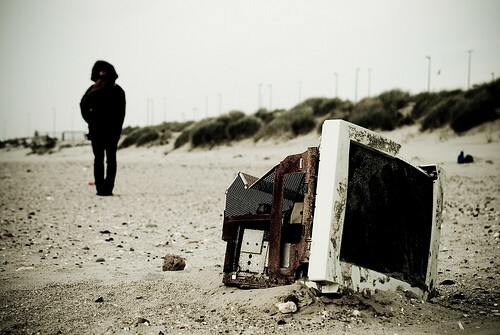 Pingback: Study Hacks » Blog Archive » Don’t Know What To Do With Your Life? Seek Bargains. What I enjoyed about this post, is your acknowledgment that a career is not owed to you. No one simply deserves a career because of their associations, or even degree from a university. Not because they are a certain age or because they wish it more. It comes only as a result of building. Real work to establish a skill that provides a service. A ‘lighting strike’ is not needed. A ‘calling’ is not needed. A career is really a constant moving forward of inertia, and course correction. What do you think of people who have some psychologically personal issues (perhaps something unfulfilled from childhood, etc) that drive them towards doing work that then “satisfies” them as adults? Would you consider this passion? Thanks! Always look forward to your replies. This is what is reductionist and naively black&white: ” some people lead successful, enjoyable, meaningful lives, while so many others do not”. I am not trying to attack your approach, because it is great in many ways, but it has its own flaws, starting with this presumption. I’m looking for insight with regard to the “Disqualifiers for the Craftsman Mindset”, and what to do in this revelation aftermath… In my current work all 3 apply, and so everyone tells me to “Follow my passion” as my way out. But I’m 41 with no college or university degree, and only a vague semblance of “Career Capital” from my hobbies. There are plenty of people in similar situation to mine; what advice would you give to those looking for meaningful work, but who have no career capital or education and are 40+ years old?